Started in 2011 in a 1,500-square-foot location, Growers House has become a major online hydroponics retailer in the U.S., and its clients can be found throughout North and South America, Europe, Africa, and Australia. 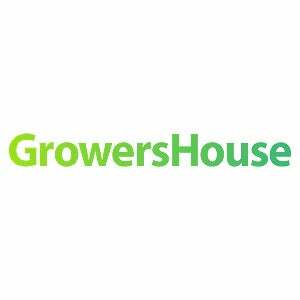 GrowersHouse.com has become an e-commerce platform, media content provider, and creator of more than 20 products for professional growers and hobbyists in the indoor, outdoor, and greenhouse cultivation industry. Workers face cultural prejudice and a lack of understanding that the cannabis industry is filled with skilled people from diverse backgrounds. Our company includes farmers, biologists, designers, programmers, and executives who have dedicated their lives to cultivating and transforming what used to be a black market industry into a professional, legitimate one. We've come together to be part of the largest untapped market in modern history. An industry yearning for big ideas and innovation, and our team knows that their ideas and efforts--as part of this once in a lifetime opportunity--will impact the future of cannabis. We’ve positioned ourselves as a next generation company that combines education, networking, and product offerings. We are serious about our responsibility to provide growers with not only the right tools and products but also with expert information to grow the best crop possible. Looking ahead, we envision a multi-year expansion plan with our partners that address a wide range of interests, from home growers to large commercial grow operations. Partnering with our suppliers will create innovative product lines that allow growers greater self-expression and personalization in their grow. Starting a business in cannabis a decade ago was tricky, a legal gray area, with significant hurdles to establishing credit and processing orders. Just when everything started to work right, we’d lose a bank account or need to adapt to a new regulation, constantly under pressure to prove ourselves as a legitimate business. Along the way we continuously invested in customer service and building relationships with top cannabis experts to refine our inventory and expand from a local storefront to an international e-commerce company, appealing to an ever-increasing and diverse clientele. So many people work jobs where they do the same thing day-in and day-out with no real or tangible cultural impact. Cannabis is a business but it's also a culture where every day brings change. While we are all familiar with Steve Jobs, and his success in shaping a new paradigm of aesthetic and functional technology, the cannabis industry today represents an opportunity to create cannabis as a paradigm for mature and safe consumption practices, with the added benefit that cannabis possesses a wide range of medical benefits, already effective in treating children with neurological diseases. It’s been called a “green revolution,” and we are on the front lines of the movement and pushing forward by creating jobs, new products, paying taxes and as a matter of course, destigmatizing the cannabis industry itself. It is thrilling to be alive during this massive cultural shift, confident that we are on “the right side of history” and soon to witness the inevitable federal legalization of cannabis.